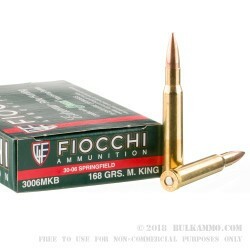 Competitive shooters will appreciate the superior accuracy of this match-grade .30-06 Springfield ammo from Fiocchi. 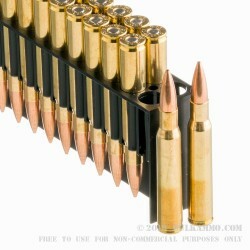 Packaged in a 20 round box, these cartridges fire a 168 grain Sierra MatchKing hollow point bullet at a muzzle velocity of 2,700 feet per second. 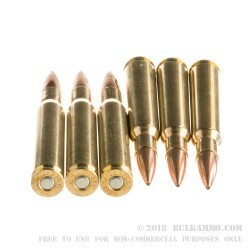 The Sierra MatchKing is a precision-made projectile that has a decades-long record of success at competitions around the world. This version features a wind-resistant boat tail profile that helps ensure long-range precision. 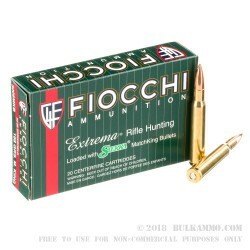 Like all Fiocchi ammunition, these cartridges use non-corrosive Boxer primers and brass cases.